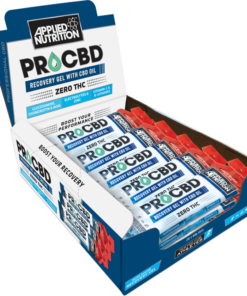 Pro-CBD is 99% Pure CBD Cannabidiol Isolate, it is derived entirely from NONE-GMO, PESTICIDE FREE, CO2 Extracted industrial Hemp Seed Oil, from the mature stalks and stems of the plant. Any avid gym-goer can tell you about the benefits of a protein supplement after a good workout session to help your muscles recover faster. 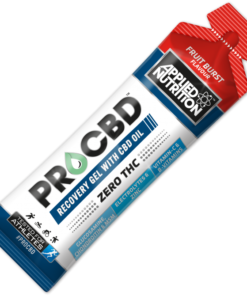 So, if you’re looking to heal faster so you can get back in the gym and pump iron, why not enjoy the benefits of CBD as well in this latest chocolate-flavoured offering from Applied Nutrition? 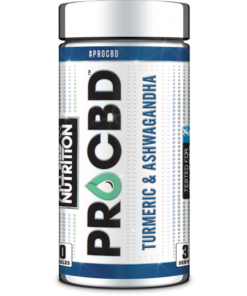 This Applied Nutrition Pro CBD Whey Protein and Hemp supplement is a perfect delivery system for the amino acids necessary to synthesise muscle tissue while you’re recuperating by slowing down its absorption into the body using a unique digestive blend. This delivery system ensures that your body keeps itself fuelled for up to 7 hours after you finish exercising, helping your muscles repair. Made from 99% pure CBD isolate, the Pro CBD Whey Protein and Hemp Supplement is not only rigorously tested randomly in an ISO 17025 graded laboratory to check for banned substances, but is also THC free, but also Halal certified. 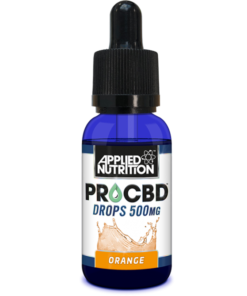 Enjoying your Applied Nutrition Pro CBD Whey Protein and Hemp supplement? Why not compliment it with some apple flavour Pro-CBD drops? Mix 2 Scoops (30g) of protein powder with 250-500ml of water or milk and shake well. Consume immediately after training or throughout the day on non training days. Protein Blend (Whey Protein Concentrate (Milk) & Micellar Casein (Milk) (93%), Fat Reduced Cocoa Powder, Natural Flavouring, L-Theanine, Sweetener (Sucralose), AstraGin® (Panax Notoginseng, Astragalus Membranecous), Pro-CBD™ (99% Pure CBD Cannabidiol Isolate Powder from Hemp Seed), DigeZyme®, Salt, Sweetener (Stevia Reb A 97%), LactoSpore®.